I just got this great flatware set from Liberty Tabletop. It’s a beautiful sterling silver flatware set this is really well made and crafted beautifully. The set that I got had a detail on the handles that looked like dented metal that is so intricate and interesting. The set is complete and comes with two spoons, 2 forks, and one knife. You have the entire and complete dining set. These are great for entertaining and fancy dinners. I use them when we have dinner parties or during holidays. Since it has a complete set of silverware it gives the place setting a very distinguished and cohesive look. The pieces are very well made, not worries about these falling apart, breaking, etc, they are very sturdy and made of great materials. The flatware and accessories created for you by Liberty Tabletop are made in the United States, employing American craftsmen and using the highest quality materials. Our flatware is 18-10 stainless steel, meaning it will retain its attractive luster as it is passed down through generations. And, we use the traditional, time-honored technique of hollow handle knife construction. 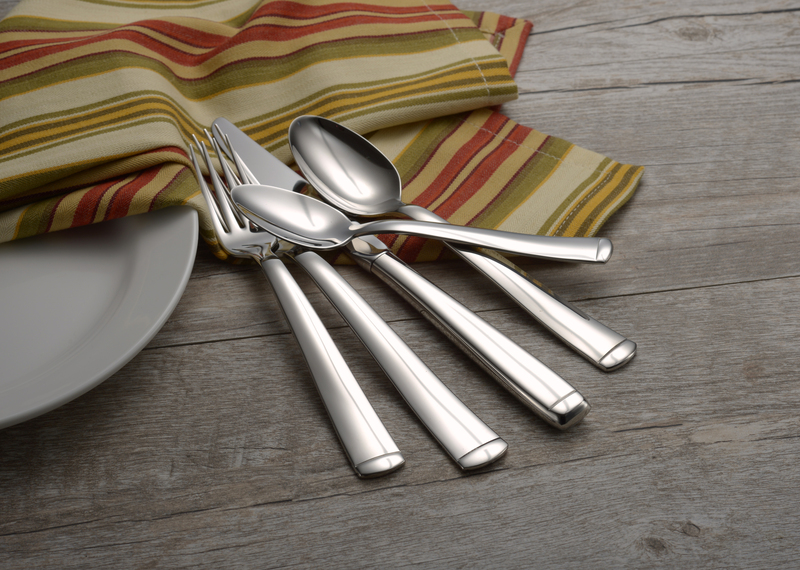 The design, materials, weight and balance are tactile indicators of a level of quality and craftsmanship you can expect every time you pick up Liberty Tabletop flatware. You can find this great flatware on their Website!